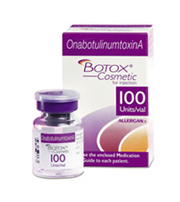 Botulinum toxin (Botox) is extracted from a bacterium called Clostrudium Botulinum and can cause muscle paralysis. It was manufactured by an American pharmaceutical company called, Allergan, Inc. It was then approved by the FDA and is now widely used. The effects of Botox differ according each individual reaction to the body, dosage, concentration degree, and accuracy of the injection. It effective period can last up to three to six months and gradually goes back to one’s original state. Therefore repetitive injections are needed to maintain its effects. CK plastic surgery uses the ORIGINAL and BEST QUALITY BOTOX. 1. You can exercise and return to your daily routine immediately after the surgery. 2. If you use a cold pack about 15 minutes before and after surgery, you can minimize the development of bruising and swelling. 3. You should be careful not to rub the surgical area after surgery. 4. There may be minimal bruising or swelling but it will disappear after 1~2 days. Wrinkles formed by frequent muscle use and the reduction of the facial fat are not easy to correct without filling in the gap. Fillers are used to raise the skin to fill in the gaps reducing wrinkles. Hyaluronic acid is a composing element of the skin and cartilage and also the main component of fillers. Since it is completely absorbed into the body over time it can be safely used. Also, hyaluronic acid can be removed from your body through an enzyme injection that melts the acid into water. You can see the effects of the surgery almost immediately and the effective period is 1~2 years. There is almost no swelling, the procedure is very simple and will only last up to five minutes. It is shorter than taking a lunch break and with no postoperative care you can go straight home. 5. You may feel stiffness with your facial muscles and it may make you look stern but it will become normal after 1~2 weeks.